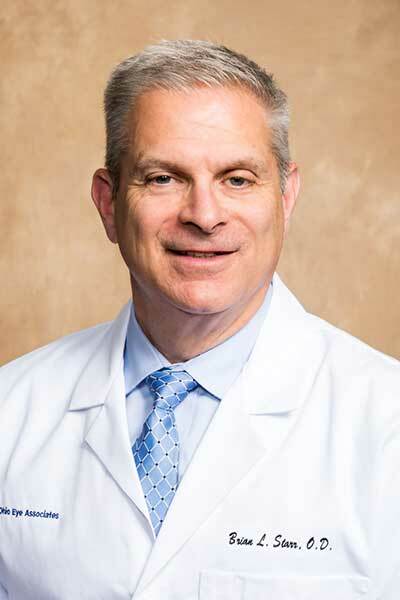 Dr. Brian L. Starr, O.D., is a certified Optometrist practicing at Ohio Eye Associates since 2013. He currently sees patients at the Mansfield location. Dr. Starr received his Bachelor of Science in Science Education from The Ohio StateUniversity. He also received his Doctor of Optometry from Ohio State, where he was graduated with honors in 1985. He is a member of the American Optometric Association and the Ohio Optometric Association. Dr. Starr offers full service eye care, and has special interests in contact lenses, especially multi-focal contacts, and the diagnosis and management of eye disease. Joining Ohio Eye hasgiven him the opportunity to bring the people in his community closer to the surgeons and specialist this area trusts.